First class vacations to ski resorts in Canada. Canada is home to some of the most sought after ski resorts in North America, and for good reason. It has some of the most expansive terrain and deepest snow. From Banff and Lake Louise's gorgeous scenery to Whistler and Blackcomb's massive terrain, Canada's resorts possess everything you need for your next ski vacation. 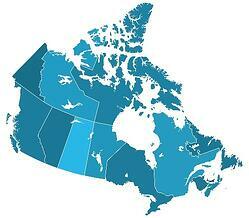 SkiSync currently travels skiers to the Canadian provinces of Alberta and British Columbia. Get Access to Exclusive Deals on Canadian Ski Resorts, Gear & Lift Tickets!